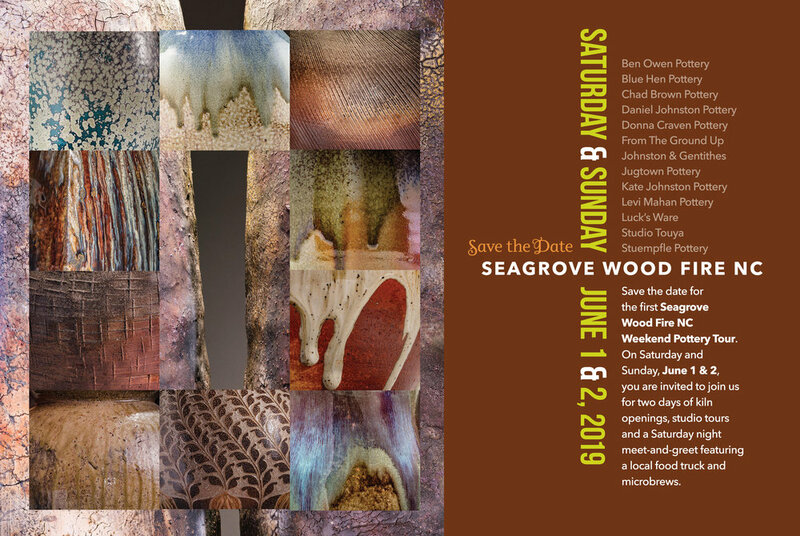 The first-ever Seagrove Wood Fire NC Weekend Pottery Tour kicks off at 10am on Saturday, June 1, 2019, in Seagrove, NC. You’re invited to join us as we open up our studios for your visit. Learn more about the Seagrove tradition and wood-fire kilns. Talk with our potters about their craft. And enjoy the wide-open spaces in and around scenic Seagrove. The tour wraps up at 5 pm, when festivities move to nearby StarWorksTap Room in Star, North Carolina. Meet us there for a meet-and-greet to celebrate our local artists, with a food truck and microbrews on site. ADMISSION IS FREE. See “How to Find Us” on our ABOUT page for detailed directions to all 13 potteries. Click here to download or print out our Weekend Pottery Tour postcard.